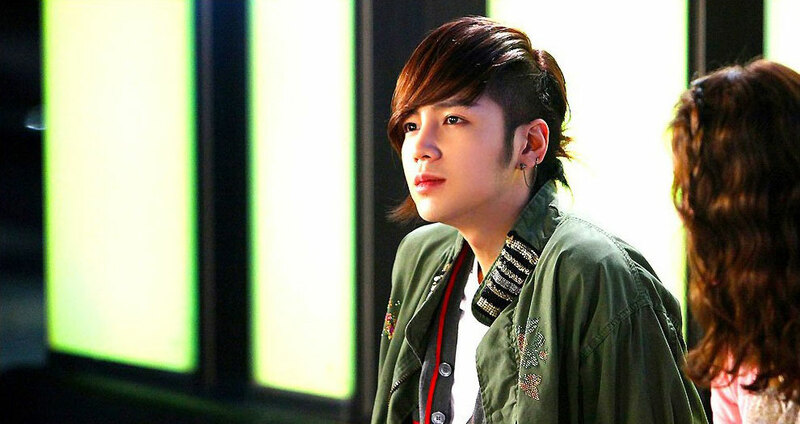 KBS 2TV Monday and Tuesday drama series Love Rain starring Jang Geun Suk and SNSD member Yoona, and the love line between the quarrelsome lover is officially begun in episode 9 broadcast on April 23rd, 2012. The first dating of two persons attracted the attention of the general audience. “Vicious tongue” Seo Joon finally put aside the arrogance and looks at Ha Na fondly, and Ha Na also opens her heart to accept him, accepting each other shyly. There were some people witnessed the shooting of dating scene of the two persons, and left messages on the Internet, raising the anticipation towards the broadcast of the drama for many people. In addition, in the next episode preview aired at the end of episode 8 broadcast on Tuesday, April 17th, 2012, Ha Na is roaring drunk and confesses her real feelings, and stages a drunk kiss scene with Seo Joon.